Submarines in Dover Harbour, WWI. 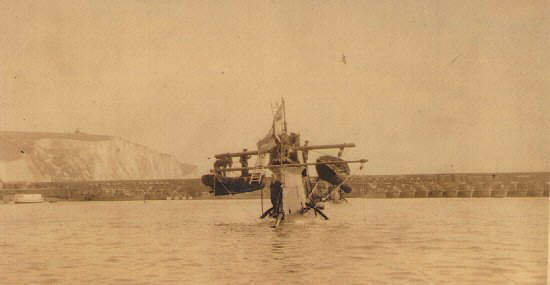 'C1' taken from 'C3', moored out in Dover harbour after having explosives put aboard. Ratings fitting spars to support the 'escape skiffs' to be used after the submarine had been rammed under the viaduct at Zeebrugge.